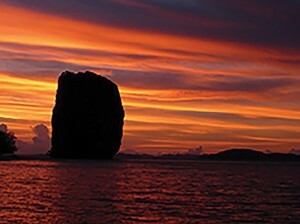 Phuket holds a special place in my heart, perhaps because it is the destination of many “firsts” for me. It was the first vacation destination I travelled to in South East Asia following my move to Hong Kong, and it was the site of the first holiday that my husband and I ever took together. I went on my first live-aboard catamaran trip here, where we wove through pristine waters and island-hopped for an entire week, anchoring our boat in calm harbours and diving in to explore colourful coral reefs. Phuket encapsulates the essentials of the quintessential tropical paradise: powdery white sand, crystal-clear aquamarine waters and lush, soaring palm trees. Its food culture is equally matched to its natural beauty. Fresh seafood pulled from the surrounding waters makes up the bulk of the local cuisine, but this under-the-sea bounty is combined with classic Thai favourites. Baan Rim Pa is no stranger to winning awards and, over the past 20 years, has won numerous accolades fromWine Spectator, Tatler and the Asian Miele Guide. The two-storey teak house sits on a rocky cliff north of Patong Bay and offers guests panoramic views of the Andaman Sea. 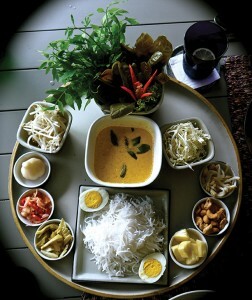 Royal Thai cuisine is the theme here, and dishes are prepared with the utmost precision and care. Piano music resonates from the main floor’s piano bar, adding to the romantic atmosphere. Be sure to try the crunchy goong lai sarong, an appetiser of deep-fried tiger prawns wrapped in crisp yellow noodles. I can’t seem to decide which is my favourite – the sour sai krok isan sausage of North Eastern Thailand or the spicysai ua sausage popular in Chiang Mai. Whatever the choice, one thing is obvious: Thais are fantastic at making sausage. Sai krok isan, a sour fermented sausage made up of pork and rice, may sound off-putting but is utterly delicious. Fermented for 48 hours before being chargrilled to golden, blistered perfection, these sausages make for the perfect bar snack, especially when sprinkled with some fried garlic flakes. Housed in a restored colonial mansion, Raya is a name synonymous with authentic, high-quality Thai cuisine. Owner and chef Pa’Gularb, a true Phuket native, has been turning out wholesome, mouth-watering dishes for decades following her former life as a Bangkok Bank executive. Often named the best Thai restaurant in Phuket, Raya specialises in local seafood, although their pork stew has also won them numerous accolades. A visit here should not go without trying the crab-packed yellow curry noodle. Raya’s seafood dishes are so renowned that wealthy patrons often fly these dishes to Bangkok if they are unable to make it to the islands. 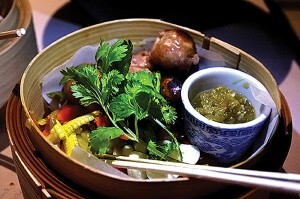 Chef Daniel Isberg’s Gastro Bar is a relatively new addition to Phuket, having opened its doors last year. However, the Swedish chef’s reputation is well known internationally; he has cooked for a number of high-profile clients ranging from royalty, to politicians, to celebrities. This new-concept gastro bar features an open kitchen driven by Daniel’s fun, creative energy. There’s also a deli inside showcasing the chef’s signature Rock ‘n’ Roll sauces, drinks, spices, oils and home-made cheeses. 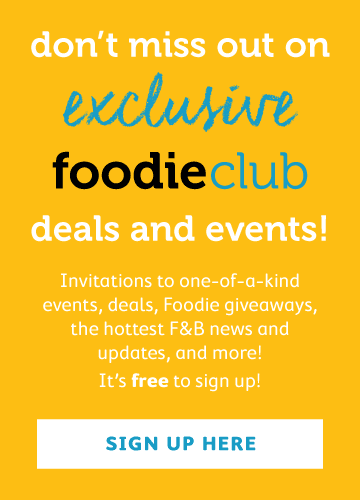 Some enticing menu items include the foie gras tacos, 10-hour slow-roasted pork belly with truffle cigar and olive-oil-poached snow fish. These traditional Southern Thai noodles are one of my favourite dishes to have in Phuket. Long strands of rice noodles punctuate fiery red coconut curry broth, making this dish a refreshing relief from the humid tropical heat. Served at room temperature, this extravagant platter comes with a plethora of crisp vegetables, pickled condiments, toasted peanuts and spice-infused seafood curry. Often a part of celebratory meals, especially at weddings, the noodles symbolise long life with their long, seemingly endless strands. With breathtaking views of the Andaman Sea, Mom Tri’s open-air patio tables are some of the most sought-after seats in town. Consistently ranked as one of the island’s top restaurants, Mom Tri’s offers fine dining with two distinct menus: an authentic Thai selection and a Mediterranean-inspired alternative. Tantalising specialities here include their famous hot crab soufflé, Phuket lobster and slow-cooked veal cheeks. Aside from the food, Mom Tri’s also houses an impressive wine cellar with more than 750 labels and an extensive organic wine list. It’s no wonder the restaurant has been the recipient of Wine Spectator’s Award of Excellence for seven years in a row. • Bike through rows and rows of rubber trees and check out how rubber sap is drained from tree trunks. The process always reminds me of maple syrup season in Montreal. • For the adventurer, go ATVing through streams and past waterfalls. Trek through the many palm oil plantations on the island and watch locals harvest these colossal bundles. 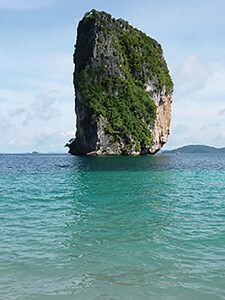 • Charter a boat and visit neighbouring islands such as Ko Phi Phi and Monkey Island. What always boggles my mind is how these aggressive little monkeys love drinking soft drinks out of a can – they must all be borderline diabetics and have bad teeth! • Phuket is surrounded by coral reefs, so grab a snorkel or your scuba gear and plunge into the colourful underwater world. I once saw three gigantic squids whilst snorkelling here; they looked like aliens with their suspended funnel bodies and long tentacles. There’s also a popular turtle graveyard where you can scuba-dive into a meandering cave where sea turtles often get lost and, sadly, trapped.